The first place Houston Cougars will travel north and face the UConn Huskies on Valentines Day, Thursday, February 14, 2019. This game is being played at XL Center in Hartford, Connecticut with the tip-off scheduled to take place at 7:00 PM ET. Bookmaker has set the point spread for this game at Houston Cougars -8 and put the betting total for Over/Under plays at 140 points. This game can be watched on ESPN. The Houston Cougars are playing great basketball right now and are leading the American Athletic Conference. They are 23-1 overall and have gone 10-1 in the conference. Houston is ranked 3rd in the RPI and their only loss this year, came back on January 9, 2019 by 4 points to the Temple Owls by the score 73-69. The Cougars are riding a 8 game win streak which includes big wins over UCF and Cincinnati in their last 2 games. Houston played Cincinnati on Sunday, and beat the Bearcats by limiting them to just 58 points. The Cougars have the 7th ranked defense in D-I and are allowing just 60.7 points per game overall. When the Cougars are playing in the American Athletic Conference games, they are allowing 63.7 points per game. The Cougars offense is led by Corey Davis Jr. Davis is averaging 15.5 points per game and is shooting .418 from the floor. Armoni Brooks is second on the team, averaging 13.8 points per game. The UConn Huskies enter this game just 2 games over .500, with a 13-11 record. They are 4-7 in the American Athletic Conference and are losers of 3 of their last 4 games. The Huskies are coming into the game off back-to-back losses to Temple and Memphis in their last 2 games. On Sunday, they lost to the Memphis Tigers by the score of 78-71. Prior to that game, they lost to Temple in blowout fashion by the score of 81-63. The Huskies have the 76th ranked offense in College Basketball and the 183rd ranked defense. The Huskies are averaging 77.2 points per game and are allowing 71.3 points per game. The Huskies have 3 players that are averaging double-digit scoring. Jalen Adams is the leader of the team in scoring. Adams is averaging 17 points per game, while Christian Vital and Alterique Gilbert are second and third on the team with 14 and 13 points per game. This game is a complete mismatch. Houston is on their way to competing for one of the NCAA Tournaments Top 2 seeds in a bracket. UConn, on the other hand, is rebuilding under a new Head Coach. One team is headed one way, one team is going the other way! Don’t think too hard on this one. Bet on Houston and forget about it! US Citizens Please Note: The information contained on this sports site is for news and entertainment purposes only. Check your state and/or country laws to know if betting is legal. We do not accept bets from, nor do we place bets for our patrons. Persons under 18 prohibited! Use of this information in contravention of any law is prohibited. Please review the Online Gambling Law for more details. All Sportsbook Reviews, Ratings of US Sportsbooks is of Our Opinion. 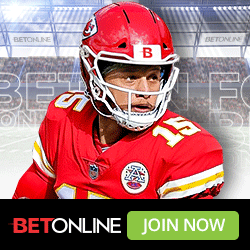 Offers by Offshore Sportsbooks or Casinos advertising on this site are void in states or localities where prohibited by law. Only utilize their services if you can legally engage in non-domestically regulated sports wagering in your country or local jurisdiction. Fill out the form below with any questions or comments you have. We’ll get back to you as soon as we can. Thank you! 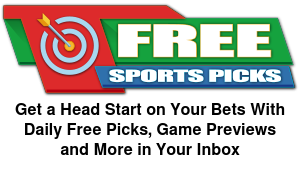 Enter your name & email address below to receive daily free picks, previews & more straight to your inbox. Enter your name & email address below to receive updates about legal sports betting in the U.S.